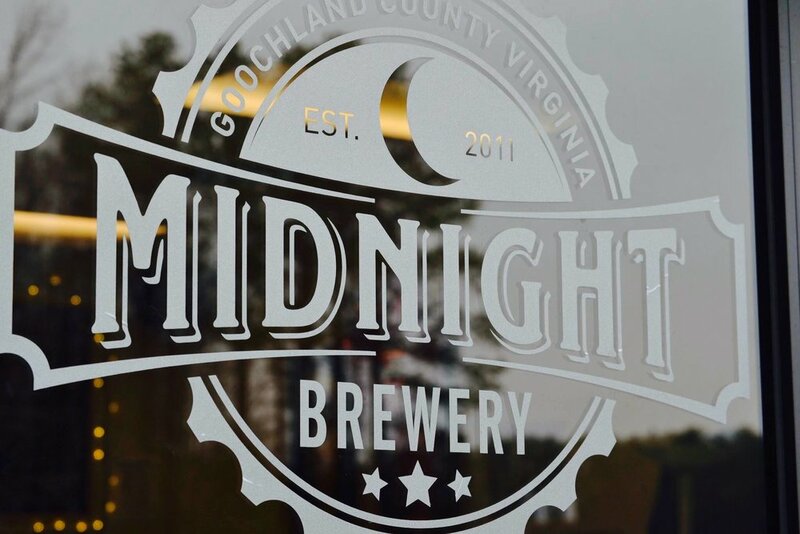 Midnight Brewery is a family owned and operated microbrewery located in Goochland County, Virginia. Midnight Brewery focuses on providing local beer enthusiasts with a variety of high quality, approachable beers. Owner Trae Cairns, a former IT professional, honed his brewing skills in the late hours after working his full-time job. Those late night date nights with barley, hops, and water instilled in him a brewing passion that eventually lead to the establishment of Midnight Brewery in 2011. The high demand for Midnight Brewery’s beers quickly lead Trae out of IT and into the brewing industry full-time, where he continues to entice the locals with his malty offerings. Midnight’s flagship brews are representative of our brewing philosophy. Approachable enough for the novice craft beer drinker, complex enough to satisfy more advanced palates. Beyond the solid, year-round brews, Midnight offers multiple seasonals and one-offs to round out the taps. Come visit our family and see what’s on tap! O U R S E L V E S.